Good afternoon everyone! It's such a beautiful day in the DMV MashaAllah (God has willed It). 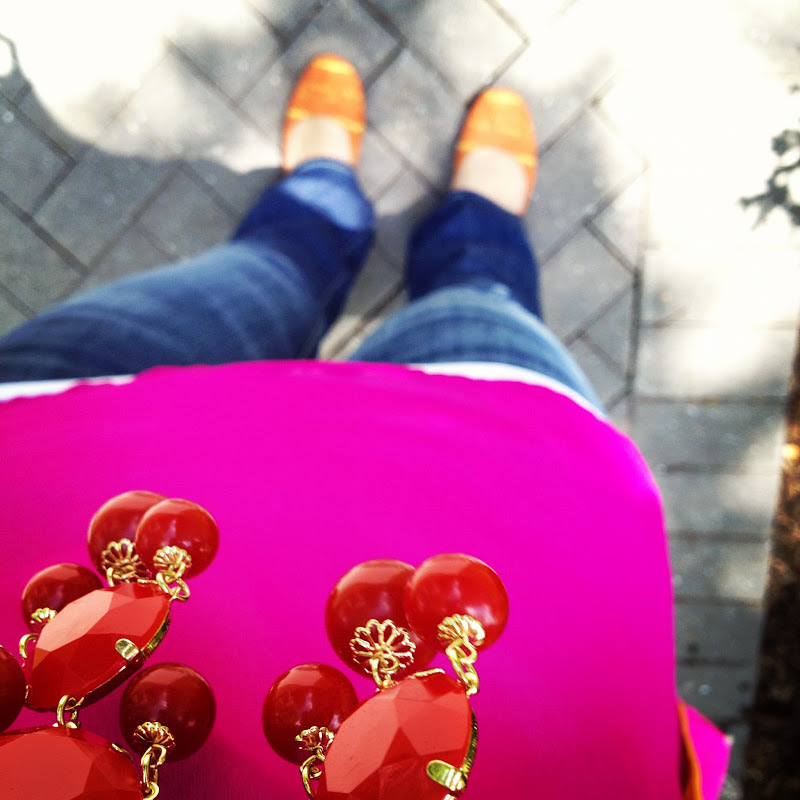 It is bright and sunny outside so I decided to dress bright and sunny to match! 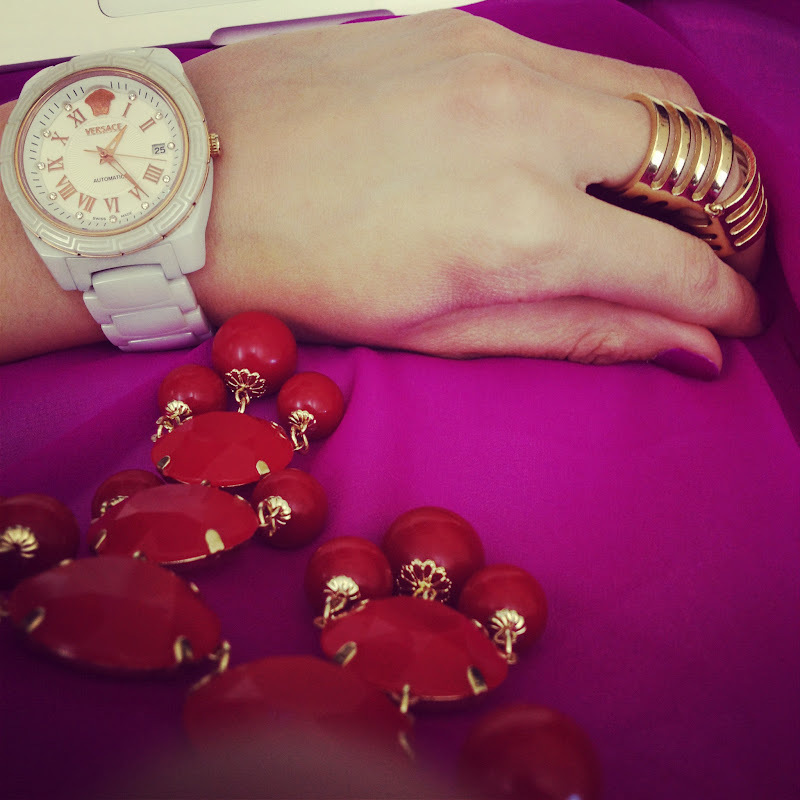 Here is my version of color blocking. 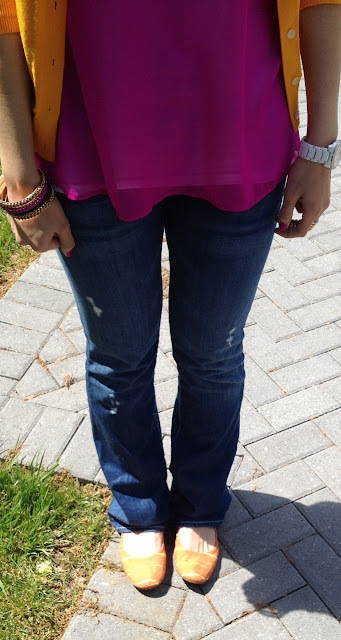 I also tried this outfit on with green pants and loved it, but then I decided to wear jeans. Either way color blocking is tons of fun! Don't be afraid to color block!!! I'm a groupie of your blog lol. I love the bright colors! I also have that hijab! <3 That necklace is sweet mA! very cute! 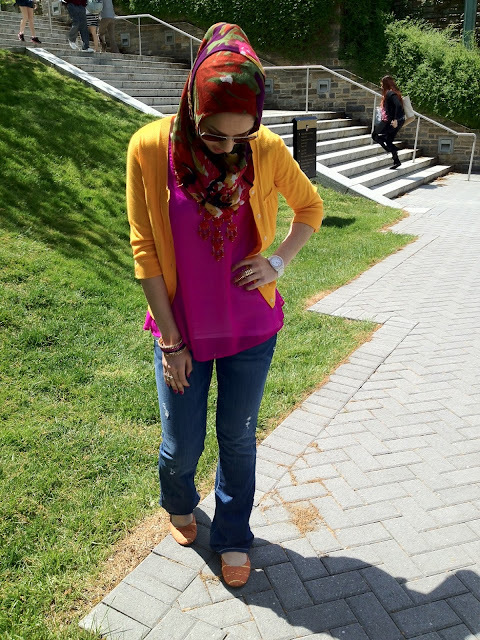 You pull off color blocking so well!